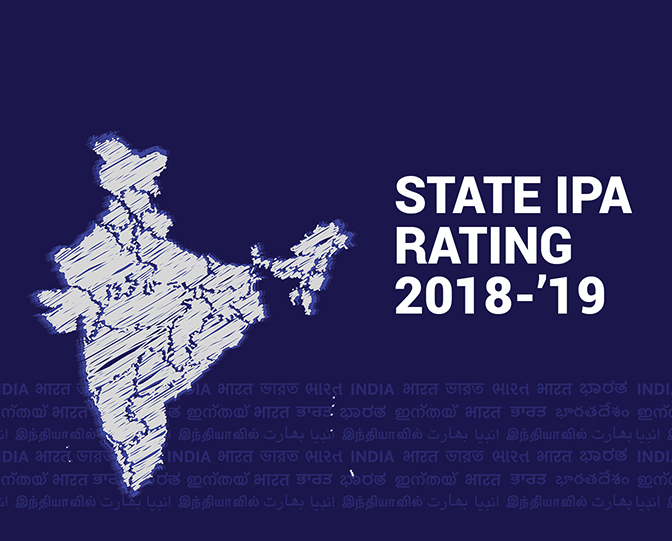 A strong collaboration between Invest India and the Indian State Investment Promotion Agencies (IPAs) is crucial for ensuring a seamless investor experience and building a highly conducive investment climate in the country. In this pursuit, Invest India has been actively working with the IFC (World Bank Group) on a project, aimed at strengthening the investment promotion and facilitation preparedness of the State IPAs. In Phase I of this project, Invest India in association with IFC (World Bank) undertook an assessment of investment promotion preparedness of State IPAs. Clear national vision, strong political will and focus on execution has made india one of the world’s most attractive investment destinations. Question 1 - Does your State / UT have a department / unit with a specific investment promotion mandate? This question is asking whether the IPI has an organization which is explicitly expected to carry out investment promotion. Provide details of the Act / notification / government or similar, under which the IPI mandate is defined. If this mandate stipulates for an actual Investment Promotion Agency, this is scored as ‘yes’. If alongside its other activities, your location’s Department of Industries, Industrial Development Corporation or Department of MSME, have a specific investment promotion function mandate, this would also be a ‘yes’. It is important the definition of what constitutes investment promotion is clearly understood: it can be defined as image building and marketing the location, information, networking and facilitation services for investors, aftercare and policy advocacy. It does not mean issuing investor licensors, incentives administration, permitting, land allocation, property rentals, etc. It should also not simply mean a one stop shop / single window, which while having a facilitation role, does not carry out any of the other activities noted above. Question 2 - Is that investment promotion role / mandate of your IPI clearly defined? This asks whether there is a clear scope for the IPI’s investment promotion role. Is there a written mandate or vision which specifies objectives in this activity? Are there legal articles for the IPI relating to the mandate? Does the IPI have the leading mandate for investment promotion in your location? If the above applies, the answer is ‘yes’. Some states may have separate organizations for promotion and facilitation - this is acceptable provided that there is a clear separation of functions.It is not sufficient if the website simply has one sentence referring to working with investors, there must be something formalised. As above, provide details of the Act / notification / government or similar which state's your IPI's role. Where question 1's evidence might just be a statement of intent, evidence here would describe specific services / tasks / activities that the IPI undertakes. Question 3 - Does your IPI have staff dedicated fully to providing investor services, which would include investment promotion, facilitation and aftercare? This question is focused on whether your IPI staff are also expected to carry out activities that are not related to providing services to investors. Provide evidence in the form of your IPI's structure (likely defined by sector / activity), or an explanation of defined roles and responsibilities of staff for various functions / departments. If at least a single member of staff spends 100% of their time on investor support activities, the answer is ‘yes’. Staff do not necessarily have to carry out all three areas of activity (promotion, facilitation and aftercare) if they spend 100% of their time on any of these, the answer is ‘yes’. It is important that sufficient time is dedicated to each of the IPI’s functions, such that the strategy can be properly implemented. Question 4 - Do senior IPI staff members have relevant investment promotion and/or private sector experience in the above activities? To be scored 'yes' for this question, some of your senior staff should have this type of experience. Hence, you should state how many senior staff you have (or provide an organizational chart), and then provide at least 3 resumes that demonstrate this experience. Relevant experience would mean having worked for at least 5 years in either investment promotion or the private sector. Therefore resumes should describe the specifics of each senior staffs' experience in these areas. Senior staff would be defined as those that directly interact with companies on their investment activities, or are the managers of more junior staff in the organization. Question 5 - Does your IPI have a board of directors / or other governing arrangements that give independent oversight? It is important that an IPI has a mechanism for its performance to be reviewed independently, normally on an annual basis. You should demonstrate that you have a board of directors or similar, by either providing an organizational chart and / or names of the board, together with their positions and employer, as evidence of their independence; or the Act / rule / notification that specifically states the presence of an independent board. Question 6 - Does the IPI have a defined procedure to regularly evaluate performance against the IPI mandate? You should provide evidence that performance is evaluated on at least an annual basis. This could be an Act / rule / notification that defines the procedure, or a written description of how the process works, or the actual outputs from your last two evaluations. Question 7 - Does the IPI have a long term, continuous, stable source of funding to adequately meet its operations? For this question you could provide specific line items of the state budget, which shows that this budget has remained stable for at least the last 3 years; or demonstrated evidence of a similar private source of funding. Question 8 - Does the IPI conduct training of the staff on a regular basis including but not limited to the following activities: 1. State and sectoral knowledge 2. Technical skills such as database, Relationship management, leadership training, grievance handling 3. Non-technical skills such as e-mail writing, customer handling, professional etiquette, language training, etc. In order to be scored as a 'yes', you should provide the daily agenda of at least 4 training programs in the last 2 years, which have covered at least 2 of these 3 areas. A 'partial yes' would be scored if you have fewer training programs to demonstrate in this timeframe, or you are only covering 1 of these 3 areas. Question 9 - Does the IPI have a Standard Operating Procedure (SOP) for grievance redressal, for any / all stages of the investor process? 1. Definitions on type of grievance - this could be an issue with the service of the IPI itself, or an outside party such as delays with a Ministry issuing a permit etc. Question 10 - Does your IPI have a written strategic plan for investment promotion? Question 11 - Has your IPI identified Key Performance Indicators to assess its achievement relative to its strategy / vision? Key Performance Indicators allow your IPI to measure success, and would normally be set annually. Written evidence of KPIs may include: the number of investment projects your IPI intends to attract, the number of jobs, value of capital expenditure, number of IPI website hits, and number of events attended etc. If you have just one or two targets similar to the above, this would be considered as having 'limited' KPIs. Question 12 - Has your IPI defined priority sectors for targeted investment promotion? An IPI cannot realistically proactively target every sector as a priority, given limited resources. Hence, provide evidence that these are specified in your written plan or website. This may normally total around 3-6 sectors in most cases, identified through a clear analysis of opportunities. It is not sufficient to say simply ‘manufacturing’ or ‘services’ something more specific is necessary. If your website has a longer list of target sectors (i.e. in excess of 6), you should clearly explain how you are activities are actually prioritising just some of these. Question 13 - Has your IPI defined priority markets (i.e. other Indian States or other countries) for targeted investment promotion? As with the previous question, target markets for proactively attracting investment need to be defined. These can be other State / UTs in India, and other countries or parts of countries. Again, evidence should be a manageable list, it could come from your written plan, your website showing staff assigned to the different markets, or any other document that clearly specifies the market focus. Question 14 - Does your strategy for priority sectors address how to approach evolving sector opportunities, which can be hybrids of more than one sector - for example, Fintech, Connected Health, Functional Food etc? In this question, your IPI must show that your strategic plan identifies target sectors, with clear reference to how changing technology is affecting the opportunity in them. You do not have to reference the specific example hybrid subsectors used in the question, but other similar subsectors should be cited. If the strategic plan simply states technology-driven subsectors for your IPI, it would be scored as 'partially yes'. A 'yes' is scored if the strategic plan provides clear discussion on how these target subsectors have been identified. Question 15 - Does your IPI assign individual budget lines to each type of marketing activity you engage in, rather than just having one overall marketing budget? For example, a line for trade show spend, a line for website maintenance spend etc. It is useful to have clearly defined allocations of funds for different functions of the IPI. Marketing is one such key function, therefore if you can show your IPI's strategic plan allocates specific funds under marketing such as roadshows, mega summit, collateral, website, etc., the answer will be 'yes'. If you can provide any other written evidence that demonstrate a breakdown of marketing funds, the answer is also 'yes'. Question 16 - Does your IPI's strategic plan for investment promotion consider the impact of your IPI's activities on sustainability goals? The United Nations specifies 17 Sustainable Development Goals (SDGs). To work towards these, the IPI must develop and execute an impactful sustainability strategy as part of its investment promotion efforts. If you can show any one of the SDGs is explicitly mentioned in your investment promotion strategy, then the answer will be 'Yes'. Question 17 - Does your IPI have a planned calendar of events / conferences / sector specific events for national and international to attend and organize? If you have a hard or soft copy calendar of events that your IPI is considering attending, the answer is ‘yes’. However, if your IPI only attends events on an ad hoc basis, without prior planning, this would be a ‘no’. Question 18 - Based on the calendar described in the previous question, does your IPI participate in domestic and international events, in order to meet potential investors in your identified priority sectors? The score is 'yes' for this question if you can list the events attended by your IPI in the last 12 months or those planned for the upcoming 12 months. You should also indicate the sectors that each of these events pertain to. Question 19 - Does the IPI organize its own investment promotion events to engage with potential investors, including roadshows, roundtables, or seminars? The score is 'yes' for this question if you can list the promotional events organised by your IPI in the last 12 months, or that are planned for the upcoming 12 months. You should also indicate the sectors that each of these events pertain to. You should provide a SOP for this question that provides a clear explanation of the process you follow for events. This would normally be a step by step description of each task, with expected timings for each of these steps. Question 21 - In terms of marketing collateral, does the IPI have a State investment promotion video? Please provide a URL link to the promotional video, or if possible, upload an excerpt directly to this portal. The video should be clearly targeted at investors, rather than other audiences such as tourists. Question 22 - In terms of marketing collateral, does the IPI have brochures or profiles for priority sectors? 6. Costs of labour, real estate etc. Question 23 - In terms of marketing collateral, does the IPI have a brief investor's guide? You should provide your investor's guide, which will cover an overview of the IPI's services, and the step by step process that an investor has to follow in order to operate in your location. This would normally be soft copy, but you could also upload a scan of a hard copy if necessary. Question 24 - Are marketing collaterals branded with the IPI's colours and logo? These will be the documents you have presented in the previous two questions. Hence you would not be required to provide anything additional in order for us to score this question. Question 25 - Does your IPI actively use social media platform(s) (such as LinkedIn, Twitter or Facebook) as part of its investment promotion? This question is concerned with your IPI’s use of social media to support investor engagement. This would include LinkedIn and Twitter, but other platforms, depending on your target markets, may also be relevant. The answer to this question is ‘yes’ if the IPI use these types of platforms at the institutional level (there is a corporate account for any platform used). The answer is ‘no’ if staff use these platforms on an individual level only (which may also involve personal, not investor-related interactions). Question 26 - Does your IPI use any regular advertising, PR, or direct mailing campaigns as part of its marketing? A 'yes' is scored for this question if you can either: upload soft copy or scan hard copy evidence of at least 3 advertisements/PR/mass mailing campaigns from the last 3 years, which are targeted towards investors; or you can provide a written description of your activities in this area in the last 3 years, including detail on the approach used, and the outcomes achieved. Question 27 - Does the IPI make information available on new policies, projects, schemes for potential investors? You should provide at least 3 examples of soft copies or scanned hard copies of such information. This may take the form of a newsletter, an organised seminar, the website or other suitable mechanism. The information must be in a summary format, it should not simply be a reproduction of full policy documents. Question 28 - Does your IPI have a target list of specific companies for its proactive investor targeting activity? This question is focused on whether you have a proactive approach to investor targeting. Hence you should provide a previously prepared list of companies that you aim to contact directly by email / phone, or when attending events. Good practice is for an IPI to proactively develop investor opportunities, rather than simply waiting to be contacted. Question 29 - Does your IPI carry out research on companies in order to develop the list of potential investors? Following on from the previous question, this question considers how you develop a list for proactive investors. If you simply download a list from a database, or an attendee list from an event, this is not research and the answer is ‘no’. However, if your list is based on your researching of companies and identifying why they may be a potential investor in your location, the answer is ‘yes’. If you answered ‘no’ to the previous question, your answer here would also be ‘no’. Question 30 - Does your IPI have a focused initiative to engage with Persons of India Origin (PIOs) / Non-Resident Indians (NRIs)? You should provide a written document that describes this initiative in detail. If this is in the strategic plan you have previously uploaded, you should indicate the page number where this can be found. Question 31 - Does the IPI have sector specialists for the key priority sectors identified? You should provide details of the identity of these experts, and the sectors to which they are assigned. This may simply be a URL link to your website where this information is published, or other written evidence of your specialists, with contact details. These persons are likely to be staff, but could also be external experts, provided that they can be easily called upon by the IPI whenever appropriate. If they are not IPI staff, they should spend at least 8 hours a month engaged in work directly for the IPI. Question 32 - Does your IPI have investible projects with ready information on project profiles? Profiles should provide the names and details of these projects (including the sector, project location and description). At least 3 examples should be provided in soft copy, or you may indicate that they are available on the Invest India Grid website, or provide the URL for your own website. Question 33 - Are these projects available / uploaded online? If you indicated these projects are uploaded to the Invest India Grid or your own website portal, no further evidence is required for this question. However if these projects are available but not online (i.e. only as soft copy by email or hard copy), you will score a 'partial yes' for this question. Question 34 - Do you update uploaded investible project information regularly? You should demonstrate that updates take place every 6 months. 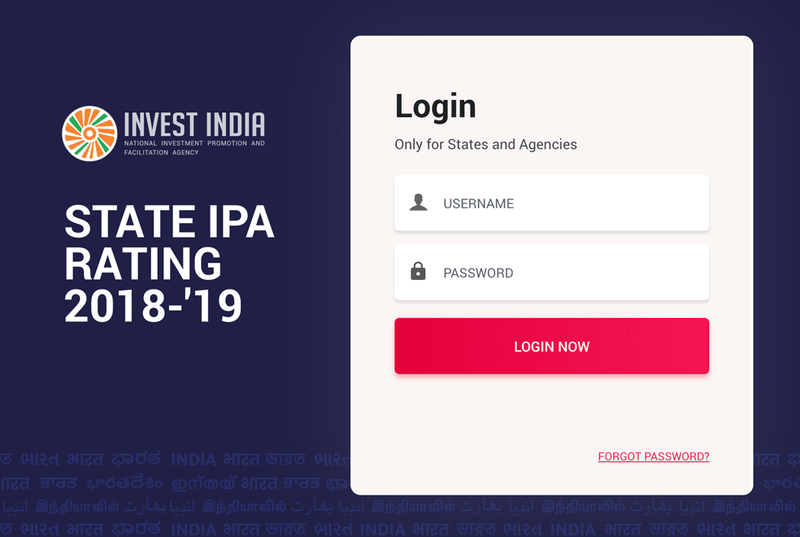 This should be a document that provides details on your login patterns, or another explanation of the frequency of your updates - to either the Invest India Grid or your own website portal. Question 35 - Does your IPI have a Standard Operating Procedure (SOP) for handling investor inquiries? You should provide written evidence of your SOP. This would normally be a step by step description of each task, with expected timings for each of these steps. For example this would include the time taken to make an initial acknowledgment of the inquiry, the format of your response, the content you should include in your response etc. Question 36 - Does your IPI have a standard approach to following up on investor inquiries, after having provided information? It is common for an investor to make an inquiry for information, and for the IPI to sometimes hear nothing further after it has been provided. In order to convert these potential opportunities into live project leads, it is important the IPI shows an enthusiasm and commitment to attracting the investors to its location, rather than being passive. You should either: provide written evidence of a SOP. This would normally be a step by step description of each task, with expected timings for each of these steps. Hence after one or two weeks of proving information, the IPI should always follow up by telephone / email to ask whether anything else is required, and how they can provide further support during the lifecycle of the investment, and if any expansion plan arises. Or, you may have a more informal (but still written) process for how you follow up. Question 37 - Does your IPI provide information on availability of skilled labour to investors within your priority sectors? To be scored 'yes' for this question, should provide a table of at least 5 rows of data. It should be specific to one of your priority sectors and indicate the size of your workforce across different qualifications in the state, or alternatively an example city or district. The data used should be clearly sourced and dated within the last 3 years, so that it is verifiable. As an example: you select Aerospace within City A. You then provide the number of existing workers who are currently employed as Aerospace Engineers, General Engineers, Mechanical Engineers, Aerospace Technicians etc. This type of information should be readily available to your IPI - hence this question is intended to show that you are able to demonstrate that you can easily provide this when requested. Question 38 - Does your IPI provide focused information on university research / research institutes in the state to investors within your priority sectors? To be scored 'yes' for this question, as in the previous question you should select a sector and provide details of key research centres / institutes in the state, or alternatively an example city or district. As an example: you select Aerospace within City A. You show that institution A has an Aerospace Research Centre, and provide a brief description of the centre's activities. For the example selected, you should provide at least 3 institutions. Question 39 - Does your IPI provide information on costs to investors (labour, land, taxes, incentives etc. ), which are appropriately sourced and dated? 1. Average labour costs. Select a priority sector, and provide the costs for at least 3 specific occupations. 2. Costs of industrial land. Provide examples of rents or purchase costs for at least 3 specific sites; or alternatively you can provide data on your location from a recognised real estate advisor, such as CBRE, Cushman & Wakefield etc. 3. Any relevant taxes on investors, which may include corporate taxes, property taxes, indirect taxes etc. Provide specific figures. 4. Available incentives. Select a priority sector, and give a summary of what is actually available to an investor. Simply providing an unedited Incentives Act is not sufficient for this question. The data used should be clearly sourced and dated within the last 2 years, so that it is verifiable. You can provide information at the state level, or choose an example city or district. Question 40 - Does your IPI provide information / guidance on available land banks or industrial clusters in the State to potential investors? For this question, you should be able to provide an inventory of available land banks and industrial clusters. Examples of specific sites / real estate / industrial parks etc. This could take the form of a brochure, link to an IDC website, link to GIS mapping, or simply an Excel sheet. A full list is not required, but simply relevant examples of potential sites for an investor, which could also vary by priority sector. Again it can refer to the state, or a single city or district. This evidence should be no more than 6 months old, and include details on the precise location of each site, the size of the space, quality of the land / property, its preferred use (i.e. office, industrial etc. ), its rental / lease cost etc. Question 41 - Does your IPI provide information / guidance on social or quality of life factors in the State to potential investors? This question concerns what the employees or executives of an investing company can do outside of work hours. You should provide information on arts facilities (e.g. theatres), sports clubs (e.g. to take part themselves, or watch professional teams), parks, hotels, restaurants, international schools, major hospitals etc. This could be a link to relevant websites, or an example of a query that has been responded to. This question will be scored as "yes" if you can provide detailed information on the state, or a single city or district. Detailed information would include at least 2-3 examples of the types of facilities above. Question 42 - Does the agency connect potential investors to, or provide information on, sectoral trade associations / chambers of commerce etc. within your priority sectors? For this question, you should select two priority sectors, and provide the names, contact details, and brief descriptions for at 2 least trade associations / chambers of commerce in your location, in each of the sectors. Question 43 - Does your IPI provide information / guidance on available infrastructure and amenities in the State, plus similar localised information for its land banks (e.g. internet connectivity, local transport connections etc.)? For this question, you should provide details available on the quality of infrastructure throughout the location, together with specific land banks / allocated industrial areas. This would normally include aspects such as the reliability of utilities and their accessibility (internet speeds, electricity, water), information on sewerage, and transport (airports & flight destinations, rail connections, quality of roads, travel by water where relevant). It could also cover information such as available car parking, and for out-of-town locations, whether staff have access to food and retail amenities. This could be off the shelf information that the IPI already has, or example information given to a past investor. Hence you are not requested to carry out new research, but to demonstrate that you can readily provide this type of information when requested. A brochure on land banks would be appropriate, but must include at least some of the types of detail above on the related infrastructure. Question 44 - Does your IPI provide information on accessing raw materials around State industrial zones? This question is concerned with information for those investors that require raw materials (metals, minerals etc.) as part of their business operations. In particular, this could refer to manufacturing and mining businesses. If a business needs substantial quantities of raw material, the IPI can help attraction of the investor by providing details on how and where these materials can be accessed. You should provide specific information on access to raw materials, which could be off the shelf information that the IPI already has, or example information given to a past investor. This could also be a 'raw material profile', which maps relevant regions in the state and the major raw materials available there. Hence you are not requested to carry out new research, but to demonstrate that you can readily provide this type of information when requested. Question 45 - Does the IPI assign current investment projects to specific staff (Relationships Managers) in a structured manner? In this question, you should provide a list of current investment projects (these may be anonymised if deemed as confidential, e.g. investor 1, investor 2 etc. ), where you demonstrate that a Relationship Manager is assigned to each. Please provide a current list, together with a list from at least 6 months previously, to demonstrate that this approach was already being practiced prior to this survey exercise. Question 46 - Does your IPI have a Standard Operating Procedure for facilitating site visits? You should provide written evidence of your SOP. This would normally be a step by step description of each task, with expected timings for each of these steps. Steps may included organising logistics, setting up relevant meetings, finalising an agenda etc. Question 47 - Does your IPI provide a list and timeline for the permits / licenses / clearances required for setting up a business in priority sectors along with a list relevant documents? IPIs should facilitate a smooth and transparent investment process for every company it supports. Hence, depending on the sector and specifics of the investment, the IPI should, as far as possible, be able to provide clarity on the approvals / licenses / clearances required, and how long they should take to be processed. You should provide URL links that demonstrate this process, or a list of documents with an accompanying explanation of any differences by sector. If you have lists prepared for each sector / activity, the answer is ‘yes’. If you just provide an overall guide across all sectors, or only discuss parts of what would be required from investors, the answer is ‘partial yes’. If you simply refer an investor to a website or other government organization, the answer is ‘no’. Question 48 - Does your IPI assist the applicant with the information on steps to be taken if an application for a permit / license / clearance / incentive package gets rejected or delayed? Your IPI should provide support to investors in facilitation processes, as these will help the investor to become operational more quickly. Hence if there is a delay or rejection, the IPI should provide information on how the investor can address this. There should be a clear process on the necessary steps to take, whether this is to resubmit an application with amended details, or to work with the relevant government agency managing the application if there is a belief the policy has been incorrectly applied. You should provide documents of an example case where you have followed this process. This should cover for example, who to contact, what supporting additional documentation you might provide etc. Question 49 - Does your IPI directly work with government offices on behalf of investors to ensure transparent and timely processing of permits, licenses, clearances, incentives packages etc.? For this question, you should either provide the Government Order / Act / office memo that indicates your IPI's role or mandate to act on behalf of investors through the facilitation process; or you can provide emails / meeting minutes that reference at least 3 successfully implemented projects, clearly showing how your IPI facilitated the investment process in each case. Question 50 - Does the agency have an aftercare strategy, with specific targets for business retention, expansion, embedding, diversification, and/or development of clusters and value chains? Your IPI should then have a strategy for engaging with existing investors in your location. Provide a written plan of this strategy. It should include details of how and when you contact investors, how you prioritize those investors, and the services that you provide to an investor depending on their level of priority. Question 51 - Does the IPI organize investor roundtable meetings and/or conduct visitation programmes to existing investors? In this question, you should either provide an event calendar that highlights events your IPI organised that are clearly intended for existing investors; or details of meetings held in the last year with at least 3 existing investors. These details might include dates, venues, list of attendees, am action plan of next steps etc. Question 52 - Has the agency identified, following a clear process, its highest priority companies (marquee clients) to receive its full range of aftercare services? In this question, you should provide a list of your high priority existing investors, with an explanation of how they have been determined. This should not be a simple sentence on each company, but instead the specific criteria you have used to determine the companies (e.g.. number of employees, evidence of previous expansion activity etc.). Question 53 - Does your IPI have a complete, and up-to-date list of investors established in the State, at least for focus sectors? Your IPI should be aware of existing investors in your location as far as possible. Ideally, this database would cover both domestic (out of state) and foreign investors, together with details of their location, contact details, industry sector, number of employees, years of operation etc. It is not expected that an IPI will have all detail on every individual investor, but it should at least have this detail for all major investors. You should provide a sample list of these investors (confidential data can be masked), or a note describing the number of investors you have, with information on those in each sector and target market etc. Question 54 - Does the IPA regularly survey existing investors to gather data on investments, employment, satisfaction level and investment climate? In this question, you should demonstrate that you gain feedback from existing investors at least annually. Hence you should provide either the 2 most recent surveys you have used with investors, or the results from the 2 most recent surveys. Question 55 - Does the IPI have an internal file management system, shared drive, electronic platform in order to store documents and share them between staff? IPI staff should be able to access and share soft copy documents easily, without the need to email the document each time. This allows documents to be stored, such that information is not lost when staff leave the IPI. Also it ensures a document can receive consistent updates, rather than different staff holding different versions. Some organizations will have their own in-house solution, but other online solutions (e.g. Google Drive), can also be suitable. Provide a screenshot of the system you use, with a brief explanation. Question 56 - Does your IPI have an Investor Tracking Tool (Customer Relation Management (CRM), Excel with key fields) to manage investor information such as contact details, project details, stage of facilitation etc.? It is important that an IPI has a coordinated record of its engagement with investors. This would normally take form of a database, which includes details of every potential investor that the IPI has contacts with, each interaction with that investor, together with details of the progress of their project. This is useful so that relationships are recorded and not lost when staff leave the IPI, and to enable data analysis on the numbers of interested investor, by year, sector, size of investment etc. Ideally, an IPI would use a dedicated system such as Salesforce or Insightly, or even a purpose-built database. Provide an explanation of the tool you use including its URL, and screenshots of the dashboard page. Information may be anonymised if necessary. If you simply use Microsoft Excel, you should provide 5-6 samples rows of information, and mask any confidential data. Question 57 - Does your IPI have access to, and use reliable audio-visual conferencing facilities? Given that IPIs will often engage with investors in other parts of the country or overseas, it is important to have solutions that do not always involve long distance travel. While email and telephone play a role, increasingly businesses will use conference equipment, such that formal meetings can be held ‘virtually’. Some IPIs may have this equipment in their office in a meeting room, while others may use third party facilities. Other dedicated conference technologies such as WebEx can also be appropriate, if internet connections are also reliable. It is not normally appropriate to use Skype or Facetime type facilities other than for one-to-one meetings, as these do not offer suitable quality and reliability. You should provide a photo of the conference room with the facility installed, and a brief explanation. Question 58 - Does the IPI have a dedicated building or office space to carry out its day to day operations? In this question, you should provide your office address, together with at least 2 photos of your desk space and meeting rooms. These photos should demonstrate that the IPI has its own dedicated space, so you should provide some explanation together with the photos. It is acceptable for your IPI to share a building and even a floor of a building, but you should not have to share physical desks with other organizations. For this question, you should provide at least one photo for each of points 1 to 4, that demonstrates your office provides this infrastructure. You should also provide some explanation to support each photo. This question is scored for each of the four points individually. Question 60 - Does the IPI have its own website? Please provide your IPI's website URL. Question 61 - Does the IPA have a Standard Operating Procedure (SOP) for website review? Your should provide a SOP for this question that gives a clear explanation of the process you follow for the website review. This would normally be a step by step description of each task, with expected timings for each of these steps. It would be expected to cover how you update and maintain the website's content, the website roles of staff and external vendors, and the schedule for updating content. Question 62 - Does your IPI publish contact information to allow investors to reach out / connect with your IPI through email and / or phone? You should provide the URL link on your website for this information, which includes at least one email address and telephone number, including the international code. Question 63 - Is the IPI website responsive to different electronic devices? In this question, we will check that the website functions appropriately on smartphone and tablet devices. Question 64 - Does the IPI website include the location and address of the IPI? Please provide your website's URL link that gives information on your IPI's physical address. Question 65 - Does the IPI website include information on 'Why Invest in our Location'? Please provide your website's URL link that provides information on reasons to invest in your location. This should be a list of key selling messages, specifically aimed at attracting investors. It should not be information on processes or procedures. Question 66 - Does the IPI website include links of investment pertinent websites? Please provide your website's URL link that in turn gives links to relevant ministries, trade associations, the IDC website etc. Each link should be for an organization that has a tangible role to play in the investment process. Hence this question would be scored as a 'no' if there are numerous examples of links to organizations that are not relevant to an investor. If your state has separate websites for an investment summit, or a single window system etc., these links must be included on your website. Question 67 - Does the IPI website describe the assistance that investors can expect from the organization? Please provide your website's URL link that gives information on how the IPI helps the investor. This would be a link to 'our services' or similar. Question 68 - Does the IPI website include contact details of sector specialists / officials handling various functions like investment promotion, facilitation, grievance handling etc.? Please provide your website's URL link that gives information on contact details for at least 3 sector specialists and / or specific IPI roles. If you score a 'yes' for this question, question 59 will also automatically be a 'yes'. Note information on roles such as Chairman, President etc. are not sufficient - the interest is on roles that specifically help the investor, such as a Head of Investment Promotion, Facilitation Officer etc. Question 69 - Does the IPI website include information on priority sectors covering advantages of investing in the state in these sectors like infrastructure, incentives, clusters, etc.? Please provide your website's URL link(s) that gives information on your priority sectors. Information should cover various aspects that a investor consider when making a location decision. The content should also include facts and figures, charts, maps etc. A paragraph of text alone on each sector is not sufficient. Likewise, vague statements such as 'high quality workforce' are not sufficient - information must be clearly researched and fact-based to your specific location. Question 70 - Does the IPI website include testimonials and case studies? Please provide your website's URL link(s) that gives at least 3 example case studies or testimonials. This could be in the form of text or a video, but the content should normally include reasons why the company chose your location, how the IPI helped win the investment etc. Question 71 - Does the IPI website include links to social media accounts? Please provide your website's URL link(s) to each of your social media accounts. This would normally include Twitter, Facebook etc., but you should include a link for any and all platforms that the IPI uses. Question 72 - Does the IPI website have standardised content, free from grammatical / spelling errors? For this question, we will check a random selection of webpages from your website, to ensure there are no obvious mistakes. Question 73 - Does the IPI website have standardised content in a currency denomination in line with international standards (i.e. millions, billions, etc., in addition to lakh and crore)? Please provide a selection of your website's URL link(s) where currency denominations are used - 3 example webpages should be sufficient. We will then check to ensure consistency / there are no obvious mistakes. Question 74 - Does your IPI track the impact of your digital marketing e.g. number of website visitors, length of time on your website, etc. ? Data analytics is an important tool for decision making. Your IPI's website has the potential to provide useful information for on the impact of your marketing strategy, and contribute to the investor pipeline. Important information would include most and least viewed pages, downloaded documents, type of information searched by the user, time spent by the user, etc. This type of information enables the IPI to take actions to further promote the content, focus on geographies and sectors. If you use web analytics tools regularly (at least quarterly), the answer is 'Yes'. This should be evidenced with at least two consecutive web analytics reports.